Also available in plain black. The deluxe Stools are a must-have for any pet care business. Ideal for eliminating fatigue while grooming, examining animals, or for use behind your desk or register. Gas cylinder lift and fingertip control allow for quick, one-handed height adjustments from 24" to 34 1/4". 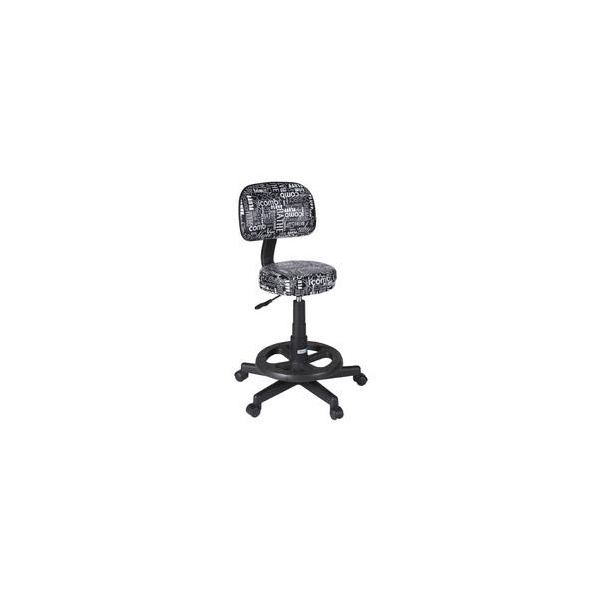 Backrest is vertically adjustable and provides full lumbar support for safe and comfortable working. Sturdy, 360° footrest provides extra support, and the five-legged, non-tip star base glides on five smooth-rolling casters for effortless mobility. 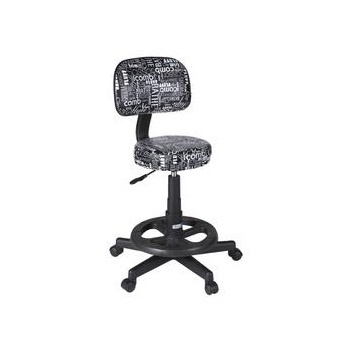 Features heavy-duty PVC and steel construction with padded vinyl on seat and backrest. Stool easily holds up to 220 lbs. Comes in a funky black & white grooming graffiti design.